Custom formulated Oven & Grill Cleaner provides rapid penetration and emulsification of tough soils such as baked-on carbon, grease and food deposits. Recommended for use in cleaning commercial and institutional ovens, grills, hoods, rotisseries, deep fat fryers, and small cutlery item, etc. 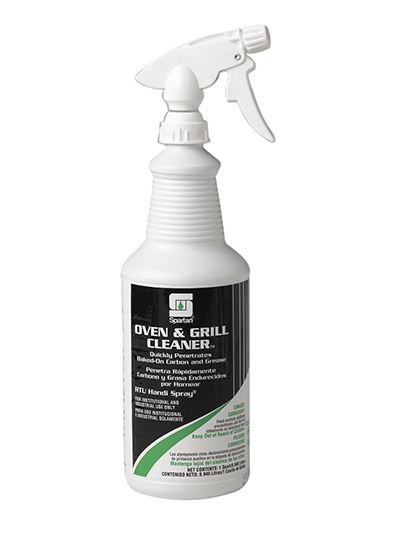 Oven & Grill Cleaner is non-flammable and safe to use when the recommended preliminary steps are taken.